I’d always made zucchini cake as a chocolate cake and reserved non-chocolate zucchini flavors for breads and muffins. I’m sure it had something to do with camouflaging those green flecks within a deep dark chocolate cake so that no one would be the wiser. At least that was going philosophy when I was young and “zucchini cake” sounded like an oxymoron. 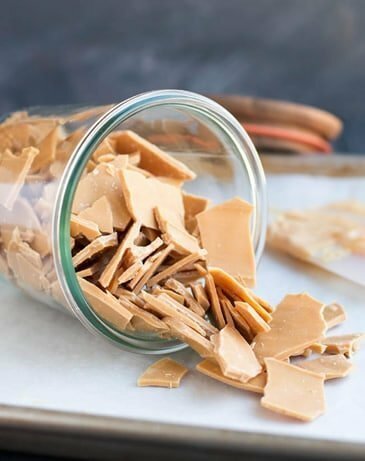 When I saw this recipe from Amanda at I am baker, I was so intrigued that I needed to try it right away. 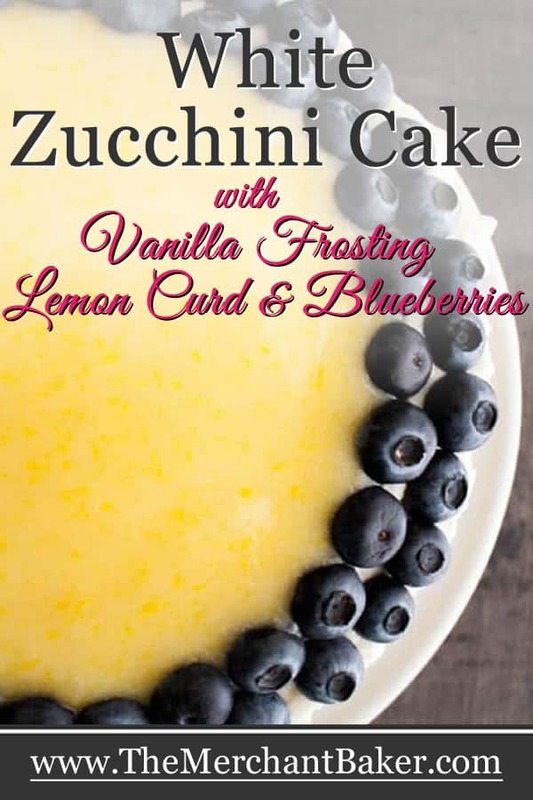 Then I saw her Blueberry Zucchini Cake and I knew I had to make some type of one of these versions. I hadn’t intended to blog about it; I really just wanted to try it out and see what this whole White Zucchini Cake was all about. 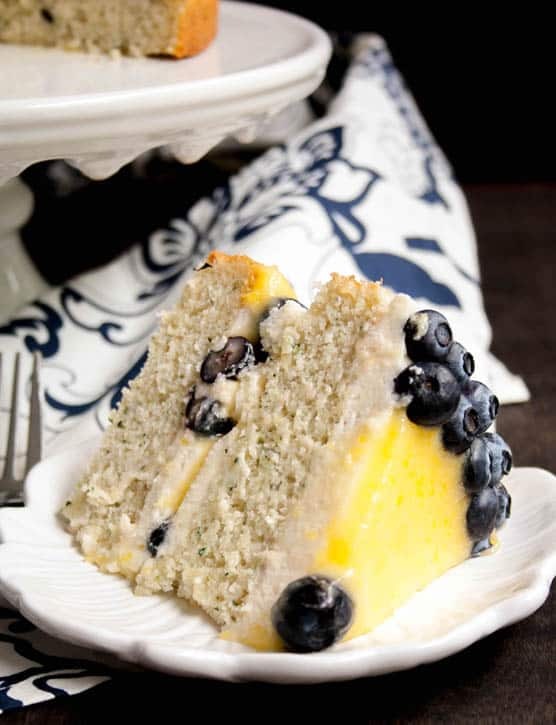 So I started with the recipe for the White Zucchini Cake and used the flavors from the Blueberry Zucchini Cake. The first thing I noticed about the White Zucchini Cake recipe was that I would have three egg yolks left over. Three egg yolks always become fresh lemon curd in my house. Always. 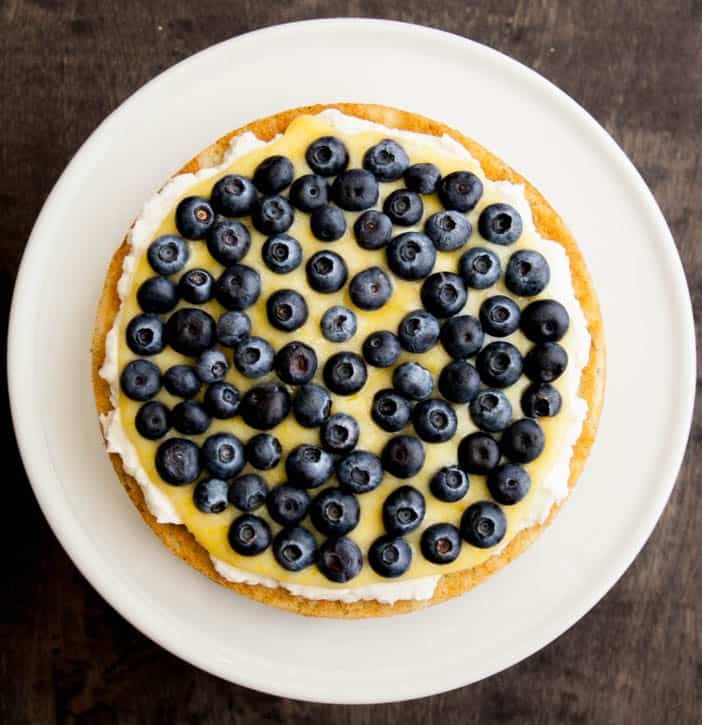 Amanda frosted her cake with chocolate frosting and topped it with fresh blueberries which I thought was a delicious combination, but since I knew I’d be making lemon curd and wanted to use it for the cake, I replaced the chocolate frosting with a Whipped Vanilla Frosting. It’s a cooked flour frosting. It starts with cooking a flour and milk mixture until it becomes a thick paste. It smells exactly like Cream of Wheat while it’s cooking, but since you’re using flour, there are no grains, just a thick, smooth paste. Then you’ll whip up your butter, sugar, vanilla and salt, add the cooled paste and whip until you end up with a beautiful, light, fluffy frosting that will not send you into a sugar coma. It’s not complicated and the results are wonderful. It’s a perfect choice for this cake. Okay. Back to the cake. 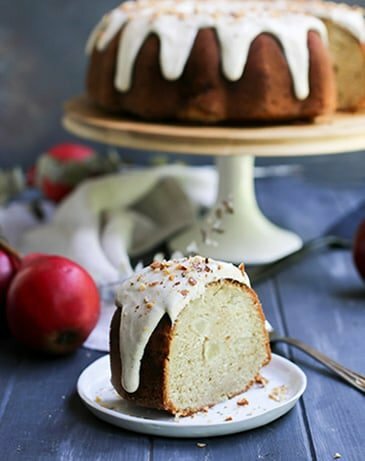 The original recipe uses a yellow zucchini to keep the cake as white as possible. I had green zucchini and didn’t want to peel it. 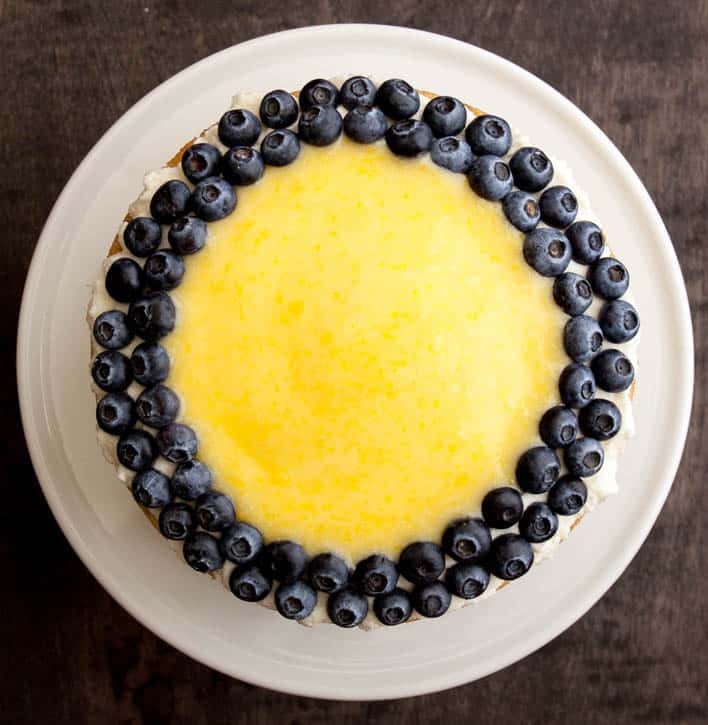 I thought the green flecks would be beautiful with the yellow lemon curd and the deep indigo berries. And since I didn’t need to hide the fact that the cake had zucchini in it, I went green and never looked back. I had already decided I wasn’t going to frost the sides of the cake, so I started with a simple assembly. I took one of the cakes and spread some frosting evenly into a circle, leaving some room at the edge. 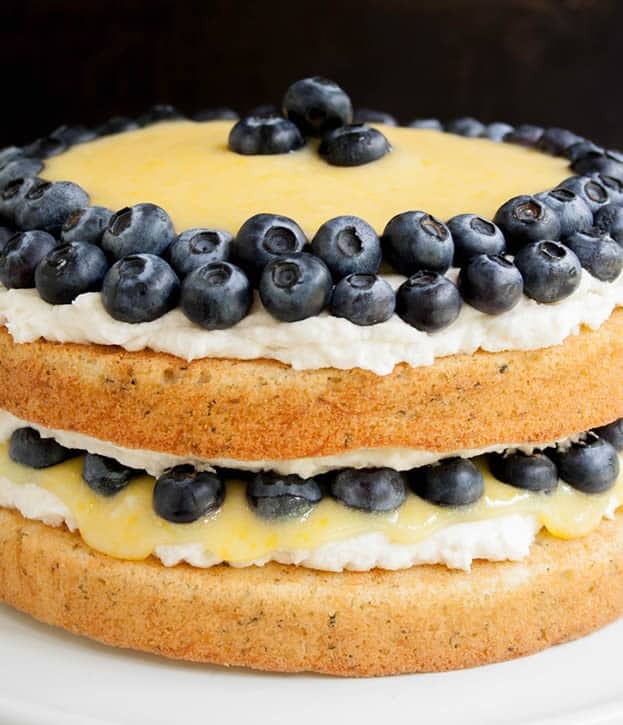 I topped that with a layer of lemon curd and then completely covered the curd with a layer of blueberries. I wanted to insure that the berries stayed put, so I frosted the bottom of the top cake layer and pressed it on the berries which very effectively sandwiched them between the cake layers. The combination of flavors was perfect. 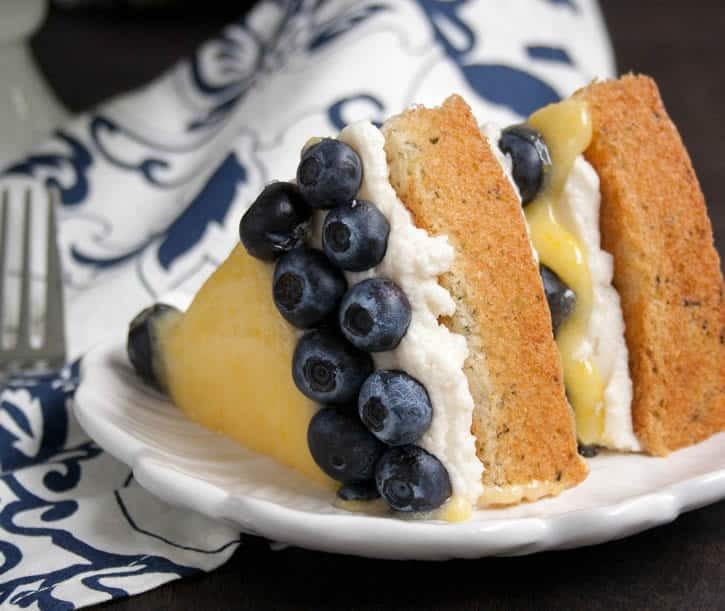 The cake is not super sugary sweet, so it balances well with the sweetness of the frosting and the sweet/tart lemon curd. 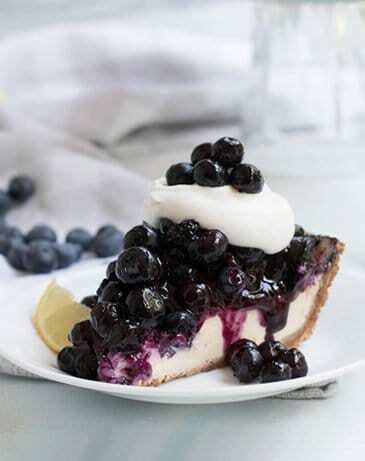 The blueberries are the proverbial icing on top of the cake and add wonderful flavor and freshness. The cake itself has a texture that’s a little hard to describe. It’s not fluffy like a traditional white cake and yet it doesn’t have the texture of zucchini bread or muffins. It’s moist and dense and yet still has somewhat of a cake texture. 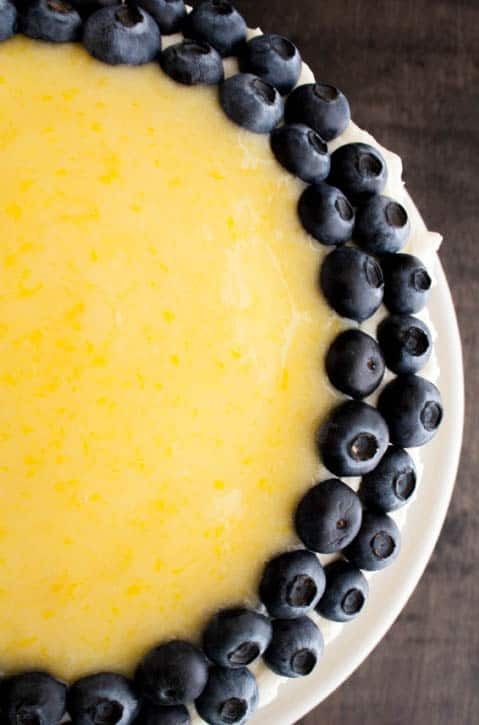 Make the lemon curd in advance, so that it has time to cool. For the curd, combine yolks, zest, juice and sugar in a small saucepan. Whisk to combine. Set over medium heat and stir constantly, making sure to scrape sides and bottom of pan. Cook until mixture is thick enough to coat the back of a spoon, about 5-7 minutes. Remove from heat. Add butter, one piece at a time, stirring until consistency is smooth. Transfer the mixture to a medium bowl. Lay a sheet of plastic wrap directly on the surface to prevent a skin forming. Allow to cool then refrigerate. You can speed up this process by placing the bowl with the lemon curd in it into a larger bowl filled with ice. This recipe makes about 3/4 of a cup of lemon curd. Make the cake. Preheat the oven to 350 degrees F. Spray two 8" pans with baking spray, line the bottoms with parchment, then lightly spray the parchment. Set aside. In a mixer with paddle attachment, combine butter, sugar and vanilla. Beat on low until fully combined then on high for another 3-4 minutes until light and fluffy. Fold in shredded zucchini until fully combined. Beat egg whites to stiff peaks, then fold into batter until no streaks of egg white remain. Divide batter evenly between prepared pans and bake for 25-30 minutes or until toothpick comes out clean. My cakes took about 25-27 minutes. Remove from oven and allow to cool in pans for about 10 minutes, then remove from pans and finish cooling on racks. Make the cooked flour portion of your buttercream. Place the 3 Tablespoons of flour into a small sauce pan and place over medium low heat. Whisk in 1/4 cup of the milk insuring that all flour gets incorporated and you don't have lumps. You're creating a slurry. Slowly whisk in the remaining milk. Adding small amounts of liquid at a time will help you avoid any lump issues. Continue to whisk over the heat and continue whisking for 1 minute after the mixture begins to boil. Remove from heat. Transfer to a shallow dish to allow for faster cooling. Press a piece of plastic wrap on the surface to deter a skin from forming. Allow to cool at room temperature until it's just barely warm, then transfer to the refrigerator. It will become a soft solid mixture once it is cooled. 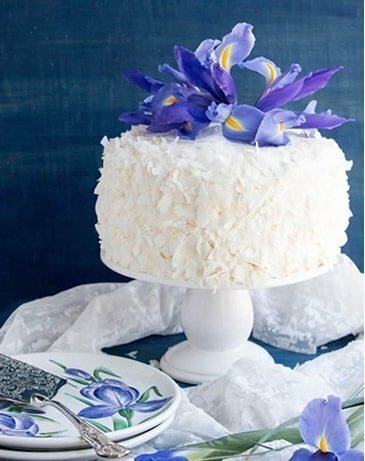 When the cakes are fully cooled and you are ready to frost your cake, make your frosting. With a mixer, beat the two sticks of butter,vanilla and sugar until well combined and fluffy about 1-2 minutes. Slowly add spoonfuls of the cooled cooked flour mixture into the butter mixing well after each addition. After all of the cooked flour mixture has been added, continue beating the mixture until it is light and fluffy and the sugar is completely dissolved (check by rubbing some frosting between your fingers.) If the mixture looks curdled, it isn't done yet. Just keep mixing it until it all comes together. To assemble cake, spread a little less than half of the frosting on top of your first layer staying about a half inch in from the cake edge. Spread half of the lemon curd on top of the frosting layer leaving a half inch to an inch from the frosting edge. 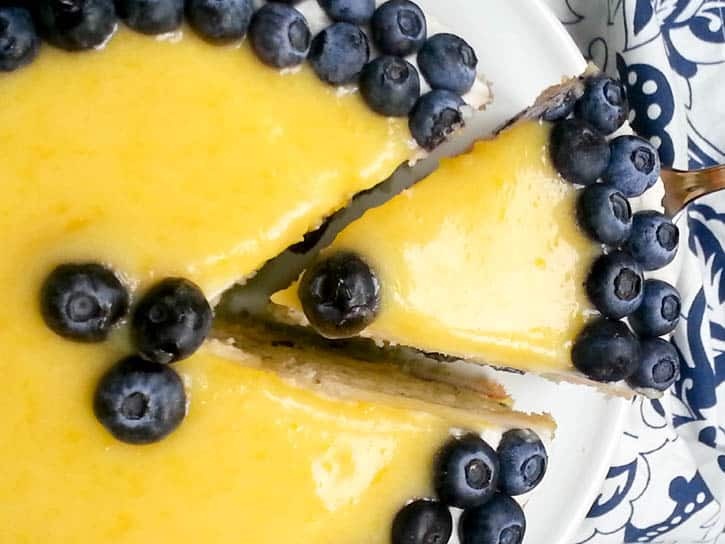 Press a layer of fresh blueberries on top of the lemon curd. I fully covered the lemon curd with blueberries. 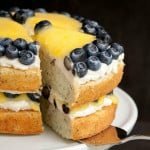 Spread a layer of frosting on the bottom side of the top cake layer, flip it over and press it on top of the blueberries so that the blueberries are sandwiched between the two layers of cake with frosting and lemon curd beneath them and just frosting above them. 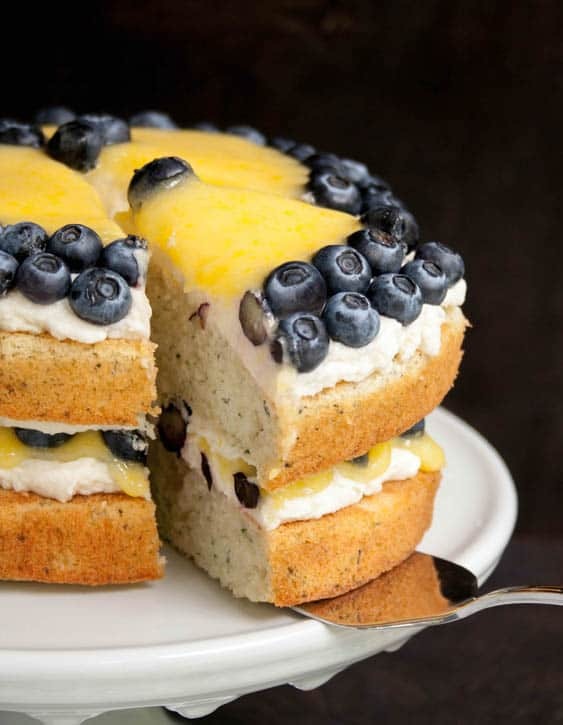 Repeat the frosting and lemon curd layers on top of the cake, then press blueberries into the lemon curd. You can create a circular design as I have, or cover the entire top with berries. 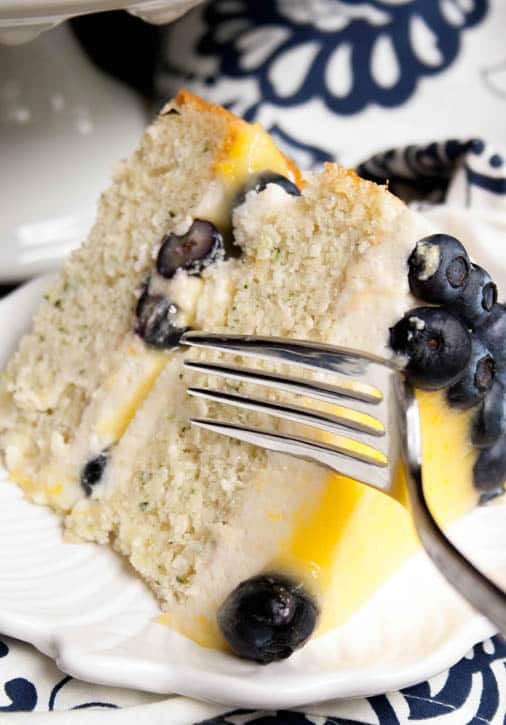 *Store cake in refrigerator, but allow to come to room temperature for serving for best flavor and texture. *You can make the cooked flour portion of the frosting further in advance. In the recipe, I planned time for you to make it while the cake is baking and cooling. I actually made mine in the morning and stored in the refrigerator until I needed it later that afternoon. What a delicious cake.. 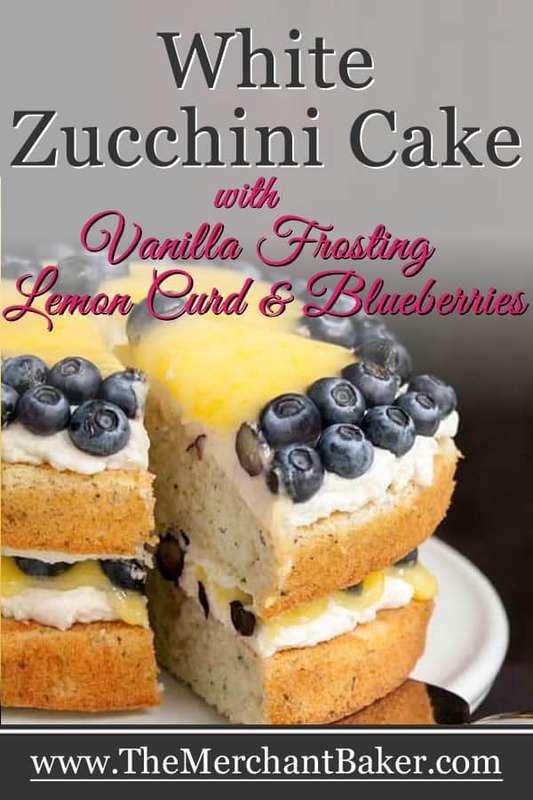 I love using zucchini in sweet baking as it does really make everything so moist and delicious! Totally need to try this recipe. Zucchini is wonderful for that…I love that it is so good in both sweet and savory dishes. This cake is beautiful! I love that you decided to go for a white cake. 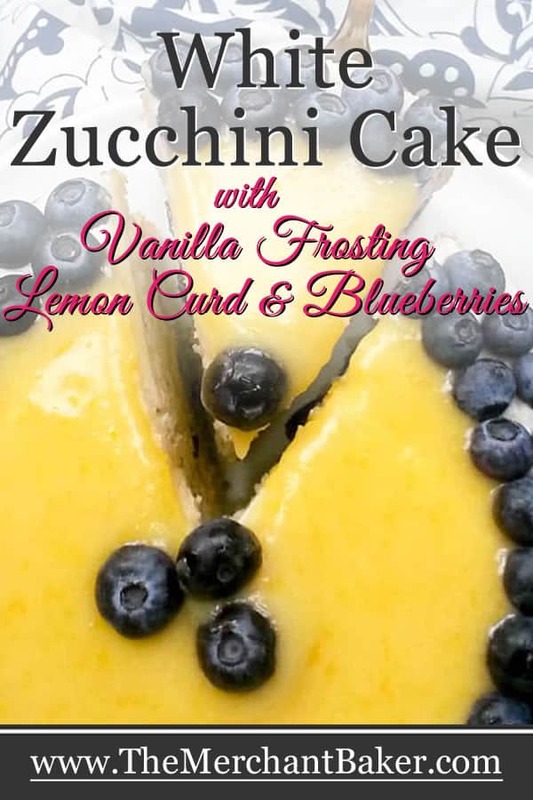 Zucchini is so versatile for delicious treats like this! Caroline, if you read the post, I felt exactly the same way when mine came out of the oven. These are definitely not tall 2″+ layers. They are more like 1 – 1.5 inches tops. I was later a bit relieved that they were not too fluffy and high since I was piling a lot of fruit and filling on them. If they had baked up a lot higher, I would have had to torte them and fill them, so the not too high layers ended up being more fortunate than not and provided a perfect balance of cake to filling to fruit. Did you use 8″ pans? The height you see in the photos came from 8″ pans. If you look at the photos of the slices, you’ll see they aren’t terribly tall. If you used a larger pan, like a 9″, you probably didn’t even get a full inch of height out of it. Sometimes I’ll give the option for different size pans, but for this one, I only recommended the 8″ because it’s not a high rising cake. If you made the rest of the recipe, I hope the frosting, filling and fruit layered up well for you. Amazing! 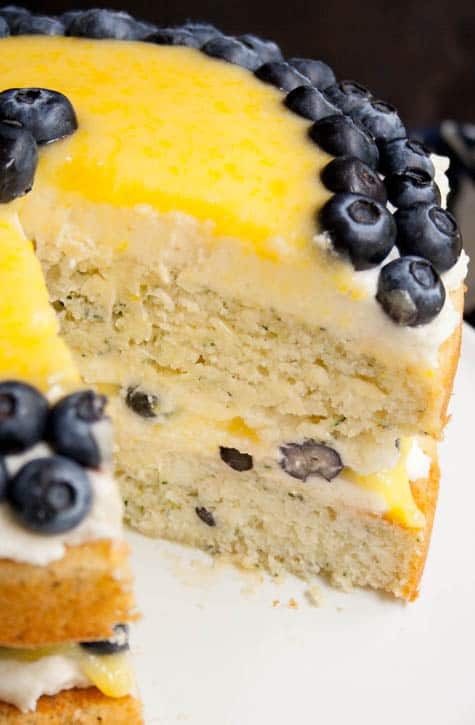 I love the lemon blueberry combination! The pictures are also amazing, I can almost taste this already. 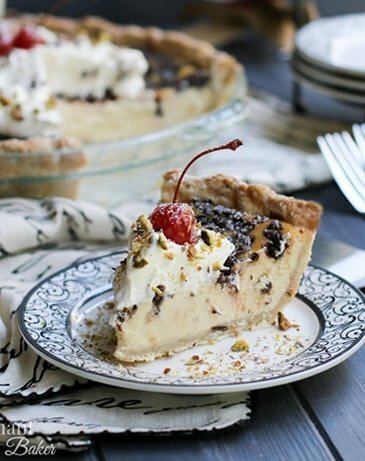 I cannot wait to make this recipe this weekend! Thanks, Jared! 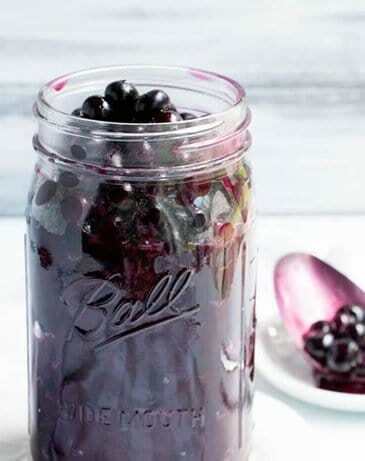 Lemon and blueberries are one of my favorite fruit combos! how much sugar in the frosting…. I don’t see any listed? Looks great! Oh no! I’m so sorry. It’s fixed now. There’s a cup of sugar in the frosting. It’s really a wonderful fresh tasting cake. I hope you decide to try it! I too am not a fan of overly sweet frostings. I’m just wondering if this frosting would be stiff enough to pipe around the cake? Will this frosting hold up if piped on cupcakes and the cupcakes left over night in the refrigerator to serve the next day? I’m desperately looking for a frosting that will keep it’s shape when piped and not too sweet. How much does this frosting yield? Theresa, it will hold up overnight in the refrigerator. This batch will frost about a dozen cupcakes with a typical piped swirl and you’ll have about 3/4 cup leftover. If you pipe more generously, you might not have any leftover, but it’s definitely enough for a dozen. You could also try my Whipped Cream Cream Cheese Frosting (that will frost 24 cupcakes.) That’s probably a little less sweet than this one, less like a buttercream and will also hold up well. The difference is that Whipped Vanilla Frosting one will hold up longer at room temperature, if that’s something you need to consider. Both are delish, and you have two choices! Thank you for your reply Ramona! I did try the frosting this afternoon and it was a fail. I think I did something wrong. It tasted great but it was very sloppy and soft. I ended up adding icing sugar to thicken it. Maybe my flour mixture wasn’t right. The Whipped Cream Cream Cheese Frosting I was going to try but I need it to stand out of the refrigerator for a few hours. (I will be doing cupcakes for a school function – need a less sweet frosting) Today was testing day! Theresa, a couple of things with that frosting…first, the flour mixture needs to be thick and pasty and completely cool before you use it. When you take it out of the refrigerator, it should have solidified, like cream of wheat does when it becomes cold. The butter should only be cool and slightly soft. It still needs structure. You’re not trying to get it super soft as in other recipes. It should just be soft enough to beat with your mixer. It’s a crazy kind of frosting, but once you can actually see what you’re going for, it will be an easy frosting to make. The only thing I can think of with your test today was either your flour mixture was still warm or your butter was too warm, or your buttercream broke and never got out of the curdled stage. When that happens, you take a little bit out of the bowl and microwave it just until it’s melted but not warm. I know this sounds counter intuitive when we wanted the flour mixture cool and your butter not too warm. In any case, you pour it back into your mixture and whip until it all comes together. I don’t know if yours “broke” or if you didn’t mix it long enough or if your flour mixture wasn’t cool enough. It’s hard to know without being there. If you hadn’t added the icing sugar, we might have been able to save it either by putting it in the refrigerator to cool down or by adding a little extra cold butter to cool it down or by melting some of the mixture to help it re-emulsify. Buttercream almost always can be saved and brought back to life and once you get it back where you want it, you’re good to go. 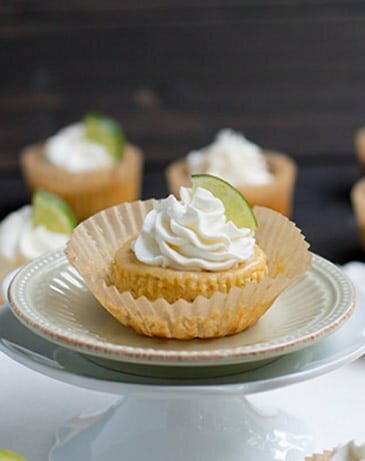 As far as the Whipped Cream Cream Cheese Frosting…I don’t like to recommend to anyone to leave it out too long, but I’ve made many, many cupcakes for school functions with it refrigerated it overnight and then taken it to school. As long as it’s not in a hot room, it can stay out for at least two hours. When it’s had to be longer, I just put my cupcake carrier in a cooler with ice packs and let them sit in there until it’s closer to serving time. So sorry this didn’t work out for you today, if you try it again, maybe my tips will help you. Also, you can cut the recipe in half so that you are testing with less ingredients. Good luck! I’m wondering if the 3 Tbsp flour in your recipe is correct. 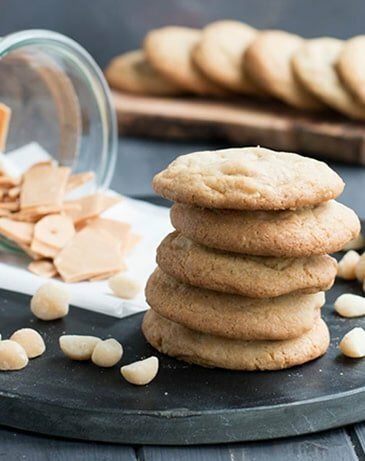 The Our Best Bites recipe calls for 3 tbsp flour, and 1/2 cup each of milk, butter and sugar. 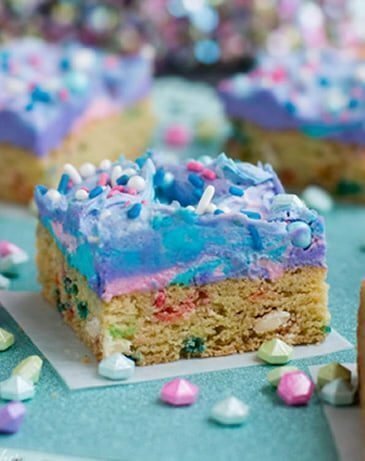 Your recipe calls for 1 cup each of milk, butter and sugar (a double batch of the Our Best Bites frosting), and yet the flour measure is still 3 Tbsp. Should it read 6 Tbsp? Hi Sadie! I love a person with attention to detail :) Yes, the recipe is correct! The amount should be 3 Tbsp of flour for this. I’ve tried different amounts and I do like this ratio the best. I found that I didn’t need the extra flour. Of course, it will also work with with the higher amount of flour, if you’re more comfortable with that. You can choose which you think works best in the final mixture. This one works great for me. 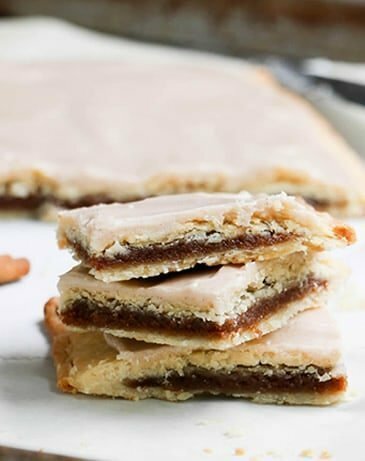 This is a recipe I often double and had I stuck with the 6 T, would have then needed 12 T which, for me, was a lot more flour than I wanted in my frosting. So, now when I double the recipe (which would be quadruple the Our Best Bites recipe) I’m using the 6T instead of 12T (which would be 3/4 cup!) 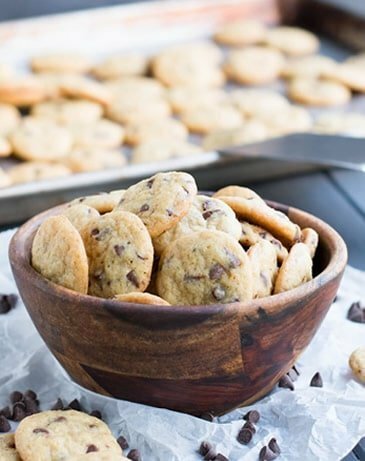 Since the flour in this recipe functions as a thickener and not part of dry ingredient volume as it would for a cake or a cookie, you don’t necessarily have to keep increasing it proportionately as you increase the other ingredients. It just has to be enough to thicken the milk mixture. I hope this helps! I can’t speak for the cake or the lemon curd (though I want to! nom! ), but the whipped vanilla frosting was perfect. Came together exactly as described. I also tinted it red and blue for my son’s Star Wars light saber cake, and it took the color beautifully. It also piped gorgeously, tasted great, and held up on a hot day (in shade). So it hit all my criteria for a frosting. Thanks! Aww, sorry! I’m not on Instagram. Gotta say no to some things to say the best yes, right? :) Thanks for sharing this recipe! Kelly, I had no social media accounts (except facebook) until I started blogging, so I hear ya on that one! 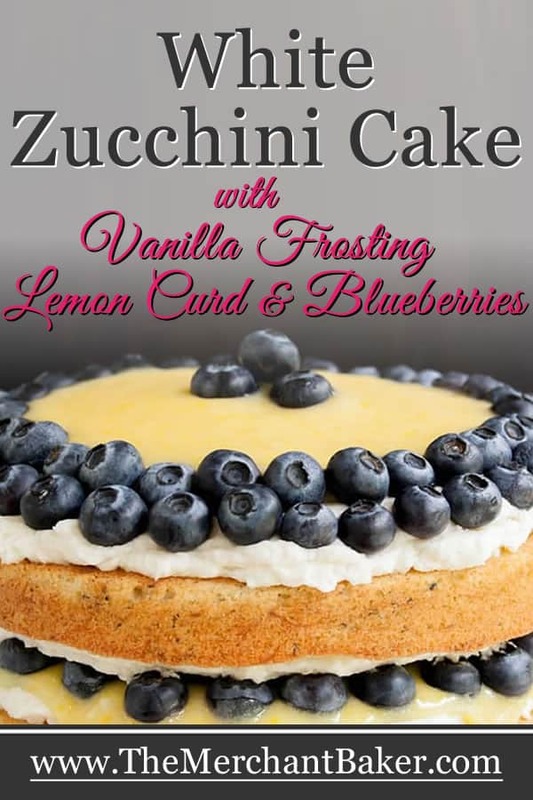 I have had success using a gluten free flour blend for cakes which I shall try with this zucchini cake … Do you think the gf flour would work on the buttercream? Also I would love to be able to reduce the sugar for both the cake n cream … How much can I reduce without compromising the stability of both? Thanks! Cecelia, reducing sugar can be tricky for some recipes. I often try to reduce sugar in many of my recipes. I generally find that I can reduce it a little without any ill effects on the integrity of the cake. This particular cake doesn’t start with alot of sugar to begin with. 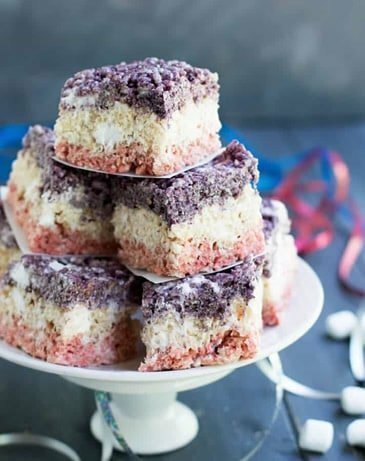 I can’t guarantee your result without testing, but if I were to experiment, I would try 1/2 cup of sugar in the cake and see if I liked the texture and level of sweetness. For the frosting, I would try substituting the flour with half the amount of cornstarch. As far as reducing the sugar? I would just start by reducing by 25% and see if that works for you. Again, without testing it out myself, I can’t guarantee your result. You’ll have to try it out and see if you’re happy with how it turns out. Come back and let me know what worked for you.